SALT LAKE CITY, April 17, 2019 /PRNewswire/ — ARUP Laboratories was a finalist for two award categories at the 2019 Vizient Connections Business Summit: The Support Services Supplier of the Year Award and the Compliance and Integrity award, ultimately winning the Support Services Supplier of the Year. ARUP was one of 23 suppliers and distributors Vizient recognized for their excellence in providing value and benefit to Vizient’s members throughout 2018. Vizient is the largest member-driven health care performance improvement company in the country. Their focus is on offering data-driven solutions, expertise and collaborative opportunities for its members that lead to improved patient outcomes and lower costs. “We are proud to celebrate ARUP Laboratories as Support Services Supplier of the Year. This award reflects their commitment to collaboration and service excellence that helps Vizient’s members meet their goals for supply chain efficiency and cost management,” said Jody Hatcher, president, supply chain services for Vizient. 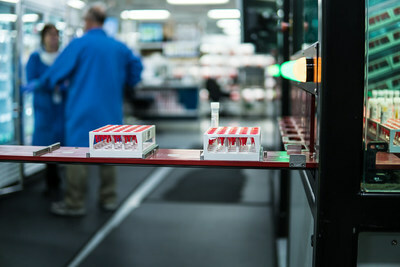 For almost 35 years, ARUP has been propelling diagnostic medicine forward as a national reference laboratory and nonprofit enterprise of the University of Utah and its Department of Pathology. More than 50 percent of the nation’s university centers, pediatric hospitals, and teaching hospitals choose to send their testing to ARUP. ARUP Laboratories is a leading national reference laboratory and a nonprofit enterprise of the University of Utah and its Department of Pathology. With 20-plus years of GPO partnerships, ARUP is a stable, trustworthy lab reference partner. The company’s noncompete philosophy means a focus on patient care, not short-term financial gains. Collaborative expertise equals finding the right answers, creating solutions for unique situations. Academic and nonprofit, ARUP fosters industry knowledge.